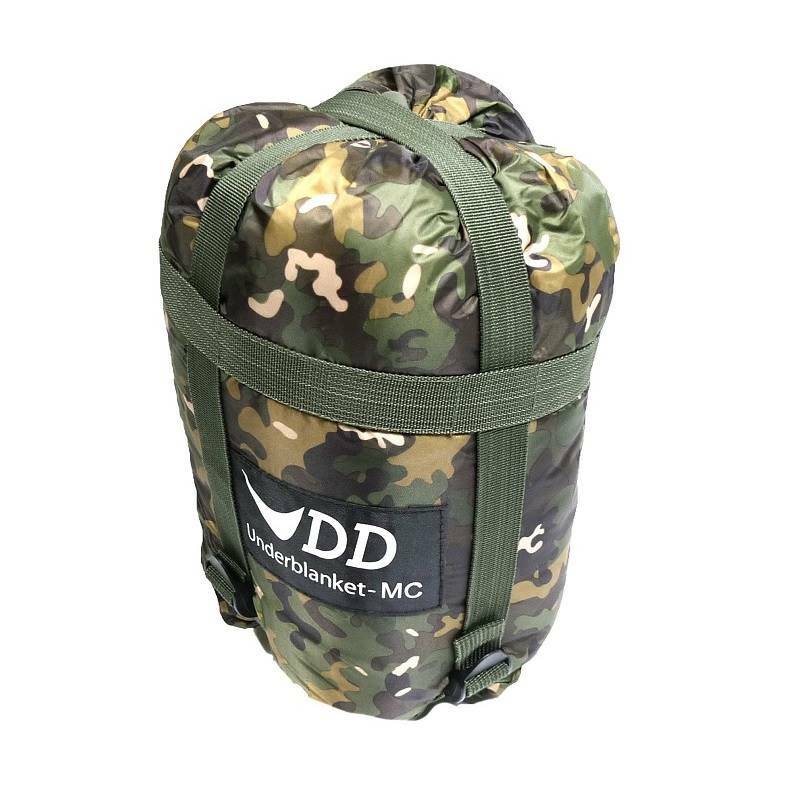 Suitable for use in temperatures down to -5C, the DD Underblanket works to prevent heat loss from beneath you. 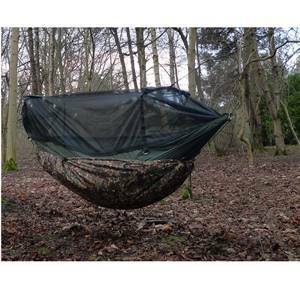 Hang it under your hammock, and feel the warmth generated in minutes for a cosy night's sleep! 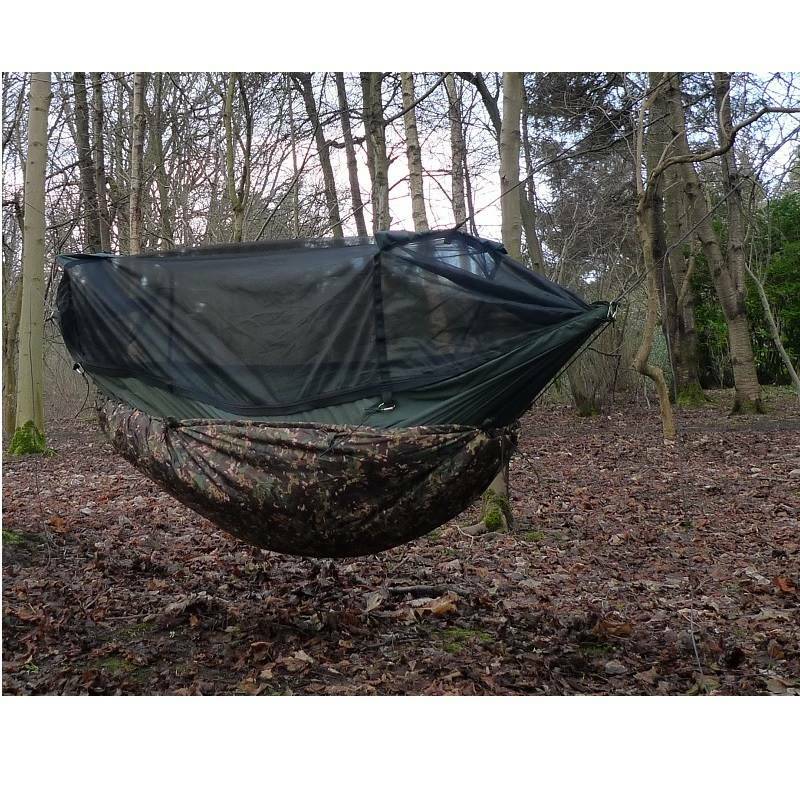 In hammock camping, the majority of heat loss is from below due to your body weight compressing your clothing or the loft in your sleeping bag.The Underblanket combats this by hanging below your hammock so the loft is not compressed, creating a pocket of air warmed by your body heat.It should be hung with a little slack to gently 'hug' the hammock when you're inside. 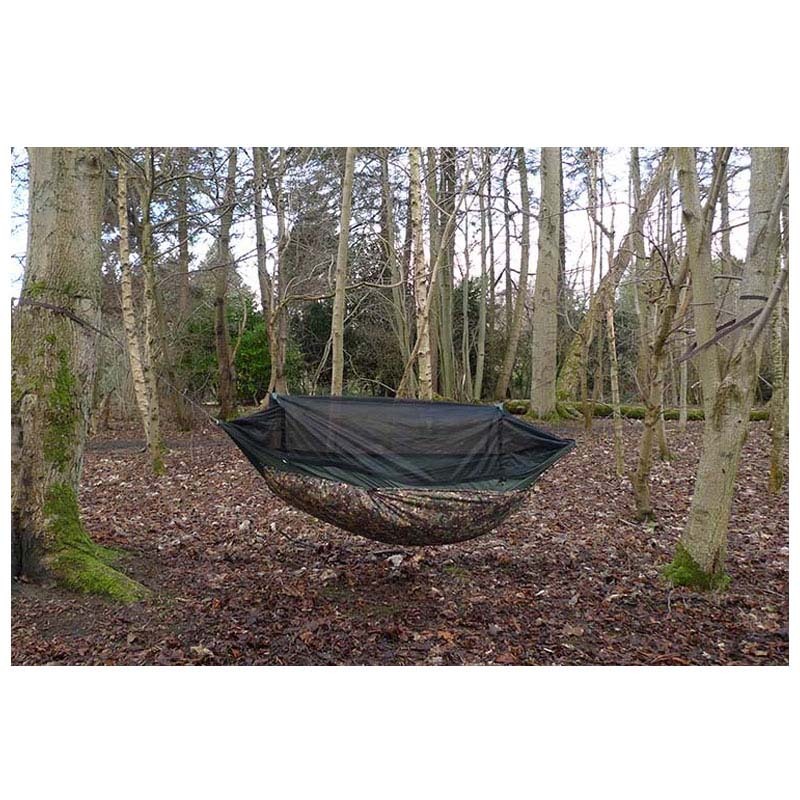 The DD Underblanket is compatible with all our hammocks produced since 2012, and its cords can be clipped onto the small tabs along the sides of your hammock. 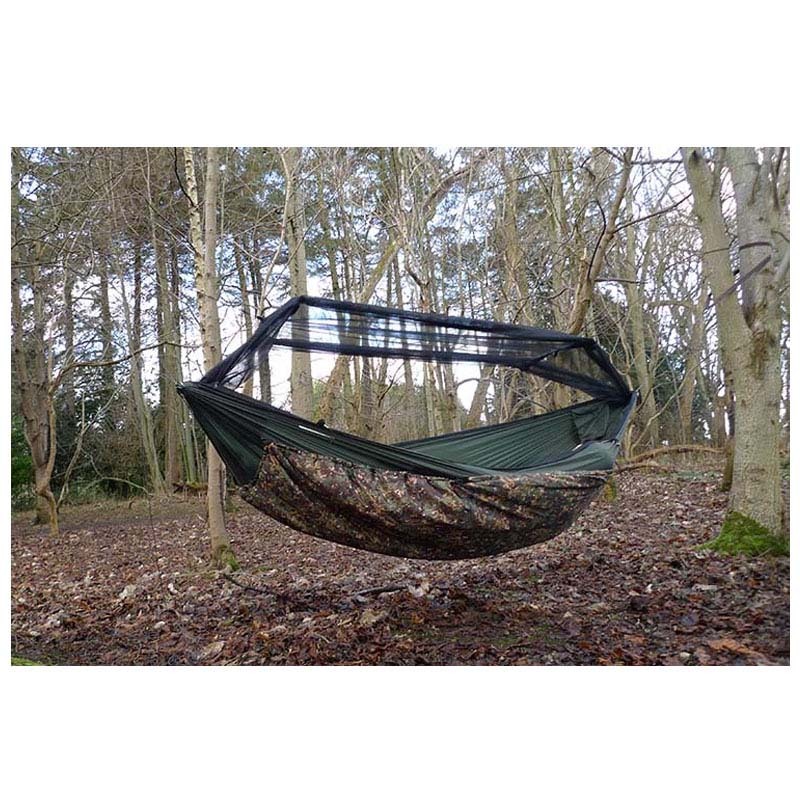 If using with the SuperLight Jungle and XL Frontline hammocks - hang your underblanket from these models using just the four elastics at the ends, then draw in the sides. Or alternatively, fix the remaining cords to the four large side tabs meant for the curved poles. Ripstop nylon blanket with water-resistant coating, filled with 200 gsm synthetic silk.